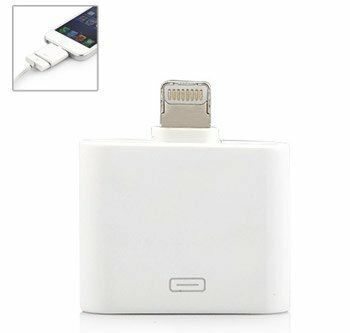 iPhone5 8pin to 30-pin Adapter - NWCA Inc.
*Lightning to 30-pin adapter for newest generation of Apple products. *Small adapter for easy connection. *Support for syncing and charging. *For iPhone 5, iPod Touch 5, iPod Nano 7 iPad Mini and iPad-4. This adapter lets you connect to the old 30pins cable to the new iPhone 5, iPad 4, iPad mini, iPod Nano 7 and iPod Touch 5. Support for analog audio output, as well as syncing and charging. Videos and USB Audio not supported, some 30PIN accessories are not support.